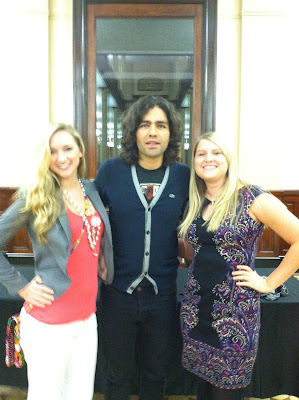 Adrian Grenier, most well known from his role as Vincent Chase in the HBO series "Entourage," stopped by Jesse Auditorium April 11 to show his latest documentary, "Teenage Paparazzo," and discuss it with the crowd. 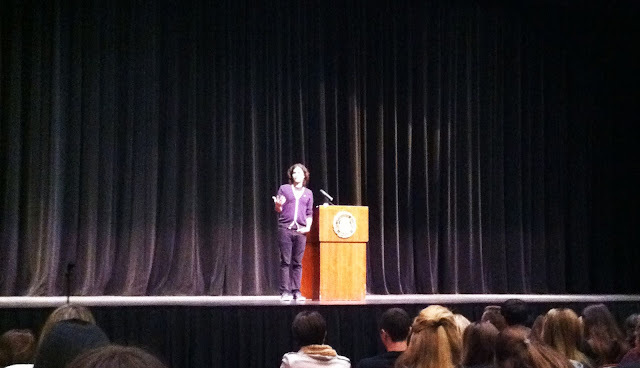 After the discussion and a brief Q & A session, Grenier posed for photos with fans outside of the auditorium. Juniors Rebecca Hermann and Liz Stratman, founder and editor-in-chief of CG Mizzou, cheese-it-up with one of their favorite celebrities. Did you go to the event? 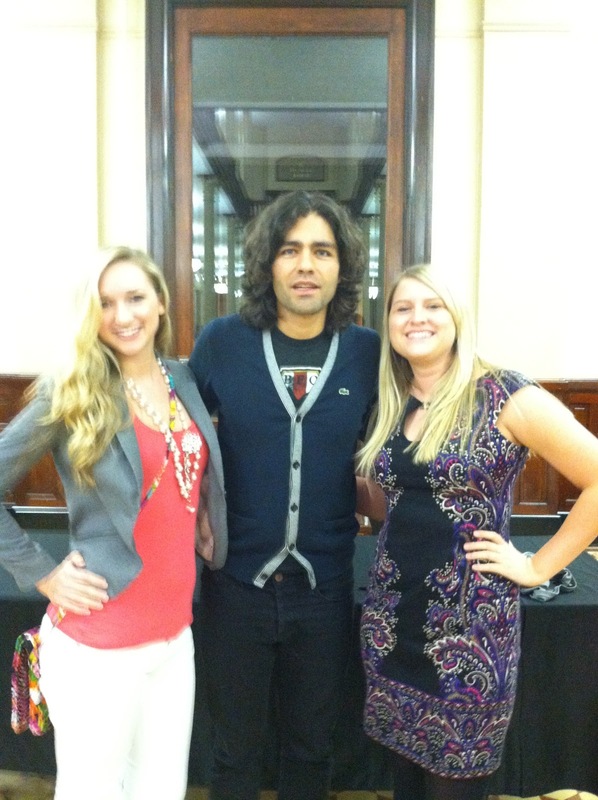 We want to see your pictures with Adrian Grenier! Email mizzou@collegegloss.com, and we'll put your photos on the site. Be sure to include a caption with names of the people in the picture.